Rather than St. Nick shouting “Now Dasher! Now, Dancer! Now Prancer and Vixen! On Comet! On, Cupid! On Donner and Blitzen! 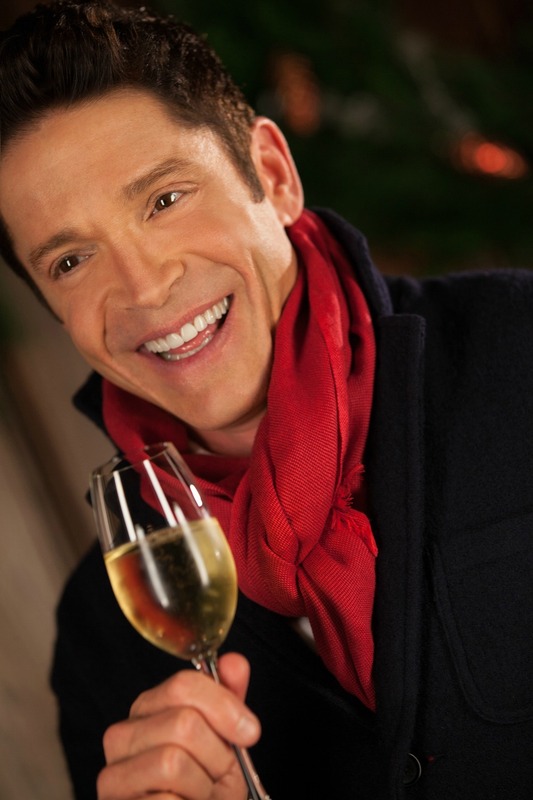 Dave Koz dragged a sleigh-full of celebrities to Spaghettini & the Dave Koz Lounge in Beverly Hills on Sunday, Nov. 23. 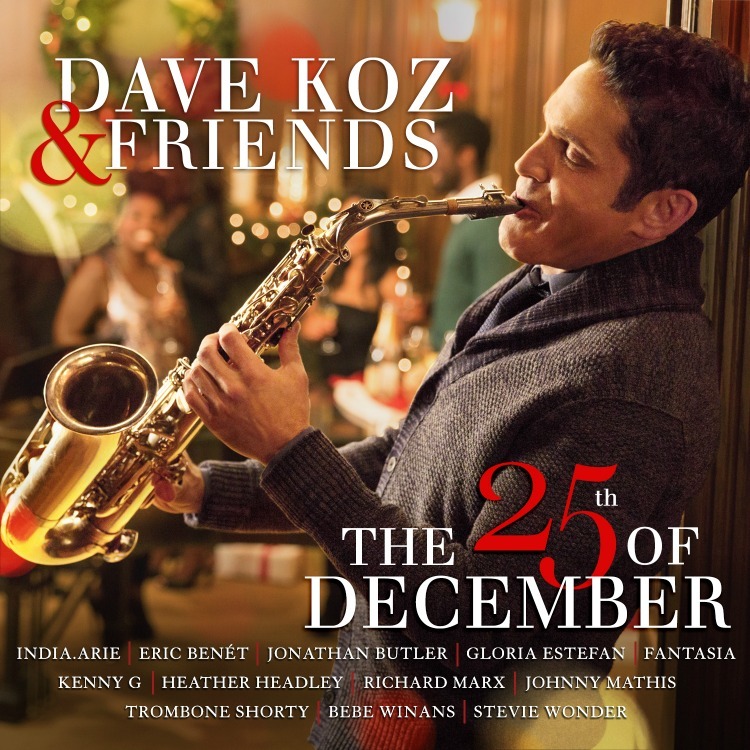 In addition to showing off the new restaurant before its official opening on Dec. 10, Dave was kicking off his 17th Annual Dave Koz & Friends Christmas tour and the release of his latest CD, The 25th of December. And, guess who was there? Johnny Mathis! “It’s not Christmas until you hear Johnny Mathis sing,” said Dave as Mr. Mathis maneuvered his way through a standing-room only crowd of close friends, family, artists, industry insiders, Concord Records executives, guests of 94.7 The WAVE, and Dave’s Spaghettini partners Laurie Sisneros, Cary Hardwick and Glen and Debbie Bickerstaff. When Johnny stepped onstage, that’s when the magic happened. Still smooth at 78, Mr. Mathis began singing the fond, memory-invoking lyrics of “It’s The Most Wonderful Time Of The Year.” And, the band featuring Randy Jacobs, Brian Simpson, Nathaniel Kearney Jr. and Jay Williams didn’t miss one note as they accompanied the living legend. Plus, these musicians had already performed three Christmas songs with Dave, as well as Maysa, Jonathan Butler and Eric Benét. 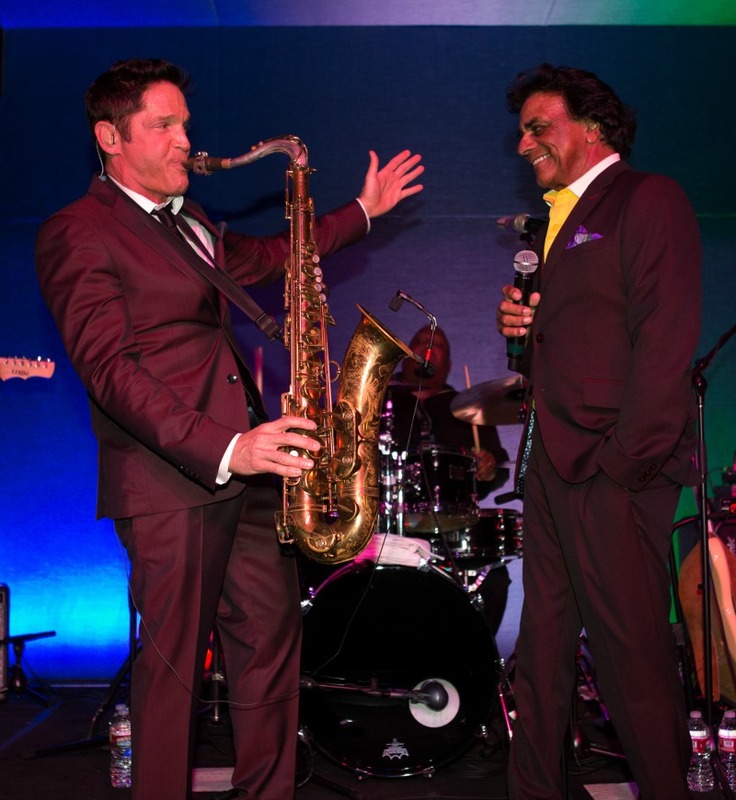 This moment even warmed the hearts of seasoned performers such as Peter White, Rick Braun and Mindi Abair (who embark on A Peter White Christmas tour this week), David Benoit (who also performs his Christmas Tribute to Charlie Brown beginning Nov. 29 in Brea, CA) and Kenny Lattimore. As soon as I receive the photos from Ellis Moore and Ambrose, I will share them with you here. So, please check back. You can read more about the Dave Koz & Friends Christmas tour in the December-January issue of Smooth Jazz News, which will be available on Dec. 1, www.smoothjazznews.com. For more information about Dave Koz, including his upcoming tour dates, visit www.davekoz.com. This entry was posted in Concerts and Festivals, Jazz Buzz, New CDs and tagged Brian Simpson, Dave Koz, Dave Koz & Friends Christmas tour, David Benoit, Eric Benet, Jay Williams, Johnny Mathis, Jonathan Butler, Kenny Lattimore, Maysa, Mindi Abair, Nathaniel Kearney Jr., Peter White, Randy Jacobs, Rick Braun, The 25th of December on November 24, 2014 by Melanie.